We offer a variety of desk review products along with quality, detailed analysis of each property with a reliable value conclusion. Our desk reviews are performed by licensed real estate professionals, so you are assured of accuracy. 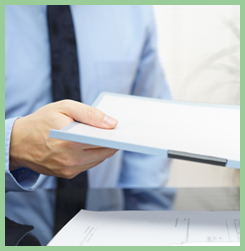 Each report is reviewed by our superior quality control process prior to delivery. Invest wisely based on market trending from our team that understands the ever-changing trends in the industry. We provide the most current market information for each city nationwide, utilizing a full range of known resources as tools. Rely on us to be flexible, reliable, and fully customizable to provide you with the most up-to-date information. New Day Evaluation Services aide buyers and sellers in their due diligence needs. We assist with bulk pool due diligence and sales and we provide a detailed property review and value recommendation on each asset. You benefit from our accuracy, because our reviews are detailed and concise. We complete an extensive review of each of our contract brokers prior to assignment so that you feel confident about all transactions. Interior and exterior BPOs include subject information, prior sales and listing history of the subject property, neighborhood and market data, three listed and three sold comps, and subject marketability. The BPO is then reviewed in-house prior to release. All BPOs are competitively priced to save you money.